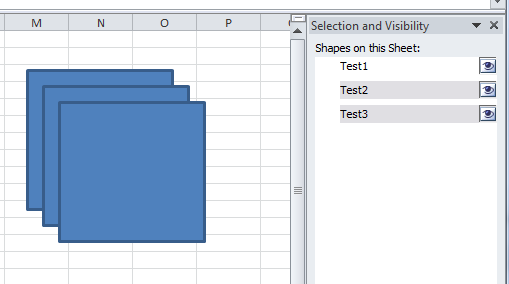 New to Excel 2007, unless JP corrects me, is the Picture Selection Pane. This is a neat little tool which allows quick sorting and editing of the visibility of pictures and other objects on a worksheet. 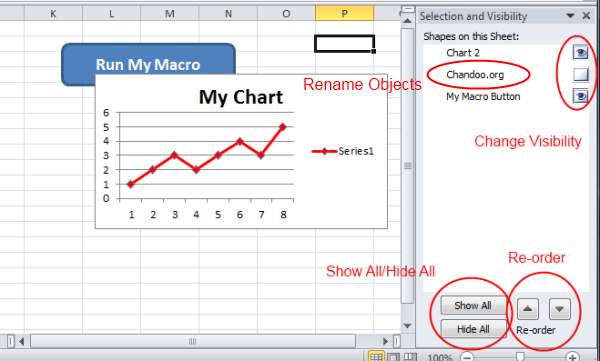 Those other objects includes Charts, Shapes, Word Art, Text Boxes, Pictures and other embedded objects. Earlier this week on the Chandoo.org/Forums, Ankit asked a question about un-hiding pictures that seemed to disappear from his worksheet. I responded with a little bit of VBA code which he was able to use to make all his pictures visible. I later realized that had Ankir been using Excel 2007/10 he could have solved his problem without the need for any code. Goto the Page Layout, Selection Pane tab. 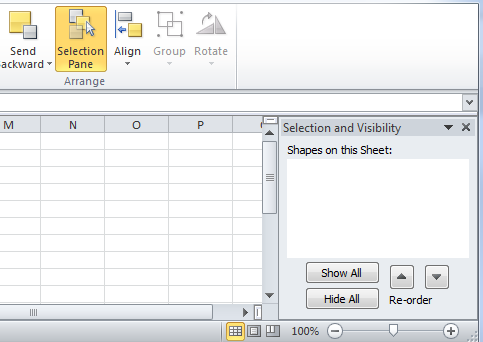 In the selection pane window you will see a list of objects that are on your worksheet. The list shows visible and non-visible (Hidden) objects. Each Object has a small picture beside it showing either an Eye (Visible) or a Window (see through), this indicates the visible status. The location of the objects in the list also shows the position in the Depth Field of the objects. That is Objects at the top of the list are in front of those objects below it in the list. You can move objects up or down using the re-order buttons which moves objects closer to the front or rear of other objects. Click on the Show All/Hide All buttons to do exactly that. Install all the logos and Hide/Show as required. I have seen Excel workbooks where people have an external link and they cannot find it. Links can be attached to Drawing Objects etc and these may be hidden. Next Week: Are you Trendy? More on Trend Analysis. The in 2007 it has been further deprecated - The Select all and De select all buttons have been removed. Hold the phone, I think we've found the Toolbar King! Just to clarify - hiding an object doesn't remove it from the file. Therefore, I would be hesitant to have a bunch of hidden objects that are unneeded (such as other company logos) as they will result in larger file sizes. Please correct me if my assumption is wrong. It may not have a large impact, but cumulatively, it should be a concern I'd think. Sorry - I forgot to thank you, Chandoo. I actually didn't know that this feature existed (I feel dumb!). I know that I rely on the chart "current selection" tool a lot as some items are very difficult to select manually using the mouse. I suspect there are many scenarios where the same is true of independent objects outside of charts. 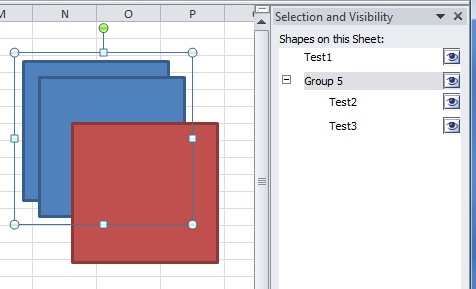 The "Select all objects" button isn't visible by default in pre-ribbon Excel "Drawing" toolbar. From what I can test this option was added first already 10 years ago, in Excel 2000. MS just made this option very hard to find for most users. Fortunately they have corrected that now. 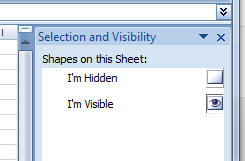 Both of these select methods can't select invisible objects and I believe that the hide/unhide objects is only available since Excel 2007. In the Excel 2007/2010 taskpane you can't use Control+Shift to quickly select multiple objects, but once one is selected, you can press Control+A to quickly select all visible objects. In general I think that hiding objects should be avoided as much if possible. I've seen too many times that users complained that their workbook was slow, which was caused by hidden/invisible objects (which they didn't know about). This is amazing. I was wondering why my excel files have suddenly become so heavy in size and slow. Now i know the reason and the solution. Many Many Thanks Hui ! Suppose you wanted 10 company logos all sized correctly on top of one another and then all hidden. How would one us formulas to only show the relevent Picture with an If statement of somekind. 2 How to use the Selection Pane to go to a comment (Find shows the contents of the cell that a comment is attached to, but does not show the comment contents. I do have code to put the comment's contents into an adjacent cell, but that's not what I'm currently after.